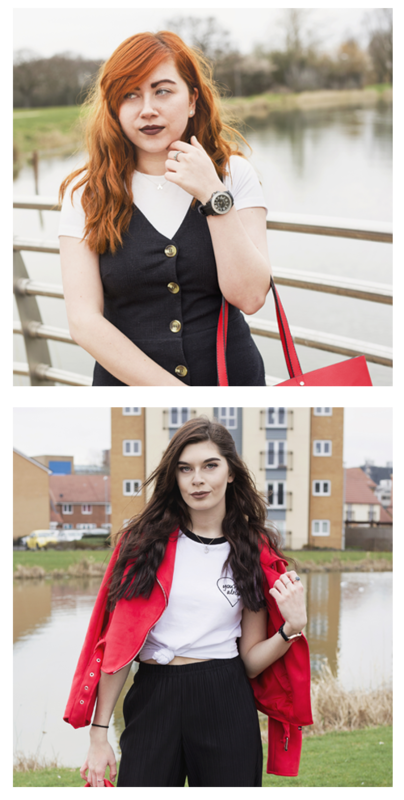 For us today’s post is something completely different to our normal stuff! 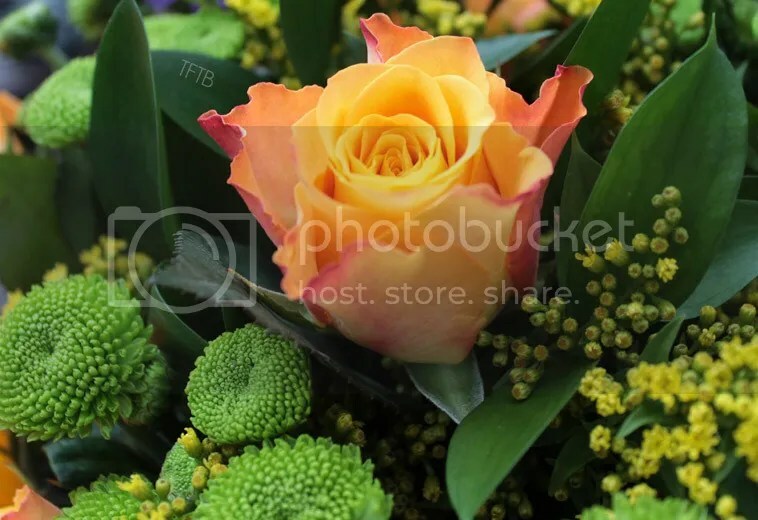 We have finally bought a post on flowers to The Flower That Blooms! 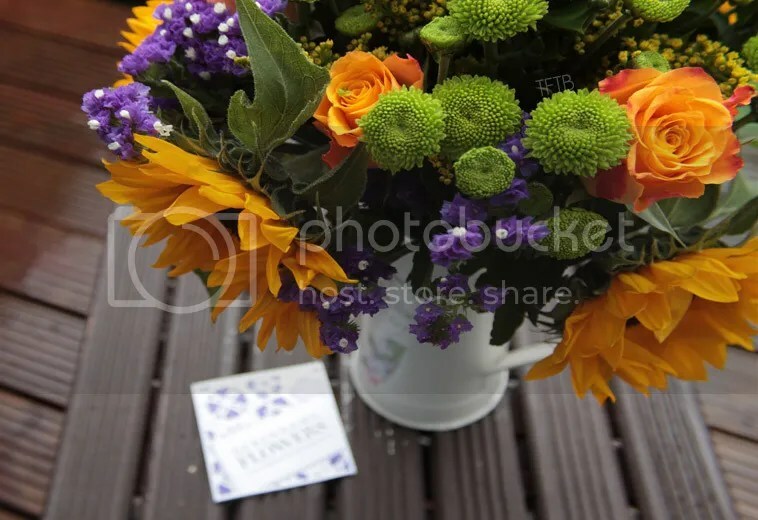 We were recently contacted by Katie (who works for a company called Debenhams Flowers) and asked whether we would like to review a bouquet from their summer range. The bouquet was kindly sent to us for free, however we can assure you that these opinions are our own. 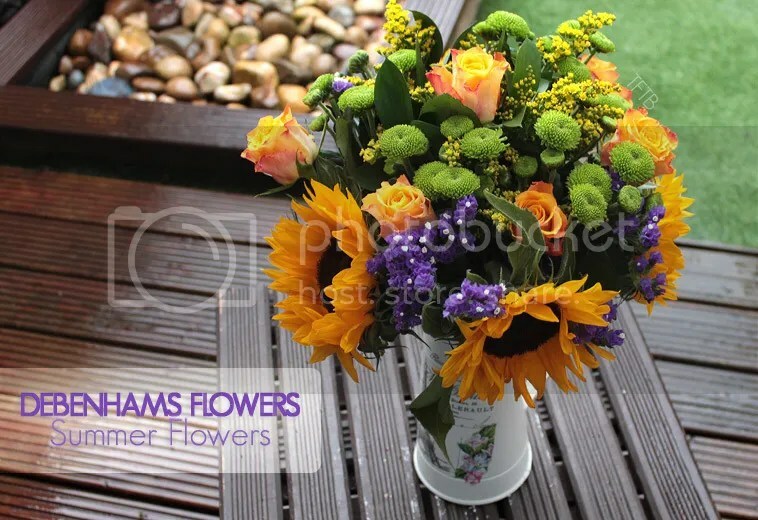 We’ve always loved Sunflowers, they’re so beautiful and can brighten up the dullest of days. We found it so hard to pick so we told Katie to choose us any bouquet that included Sunflowers. You wouldn’t believe the look on our faces when these turned up, they’re even better than we expected! 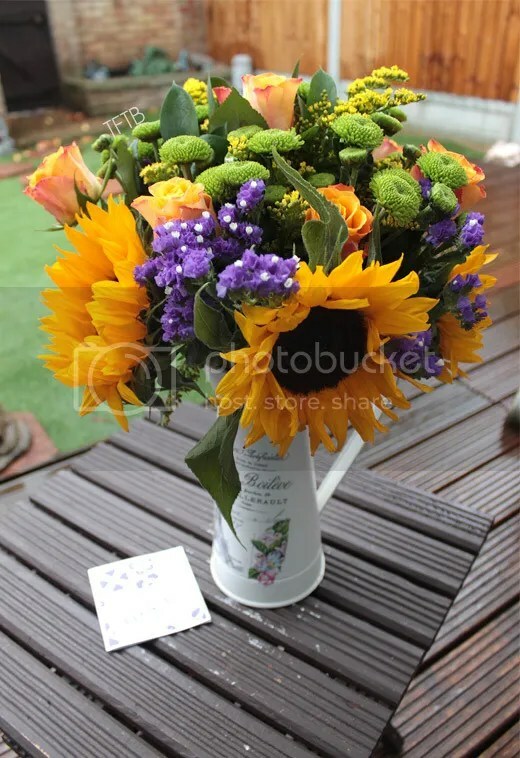 This bouquet is called Summer Sun and we were lucky enough to get it in the large size. 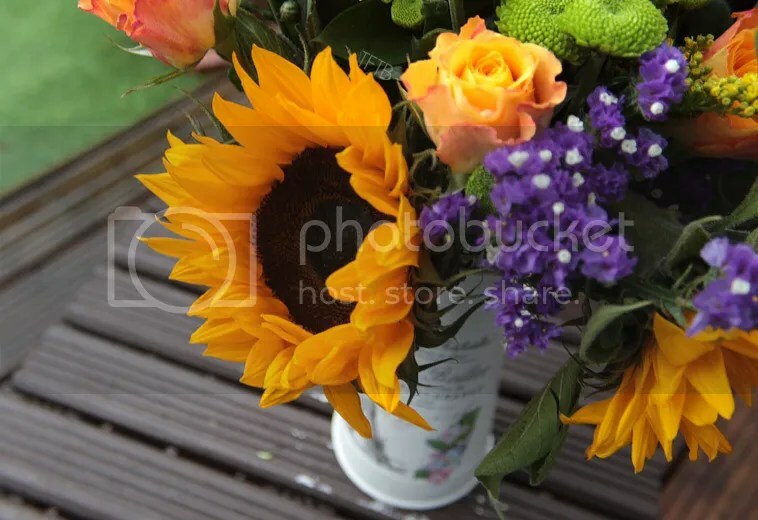 The bouquet is mainly made up of Sunflowers (obviously! 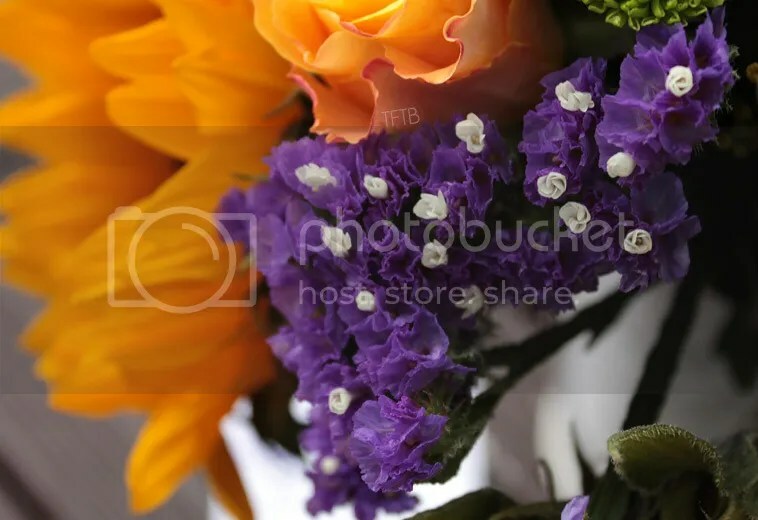 ), orange Roses and purple Statice which all go together so perfectly. There are also little yellow Solidago flowers and green Chrysanthemums which really help to space out the bigger flowers and make the whole bunch look more even. As you can tell from the photos, these flowers arrived on a pretty gloomy day. The only good place for lighting was our garden but luckily these beautiful flowers were there to brighten up the place up a bit! The colours go perfectly together and they helped us to enjoy the last little bit of summer! We aren’t ones to usually buy our own flowers but as we live with our parents our Mum quite often treats herself to a bouquet. No previous bouquets have ever compared to this one though! Obviously flowers like this are more of a luxury compared to your standard bunch from the supermarket. That being said, it is worth treating yourself or somebody else once in a while! 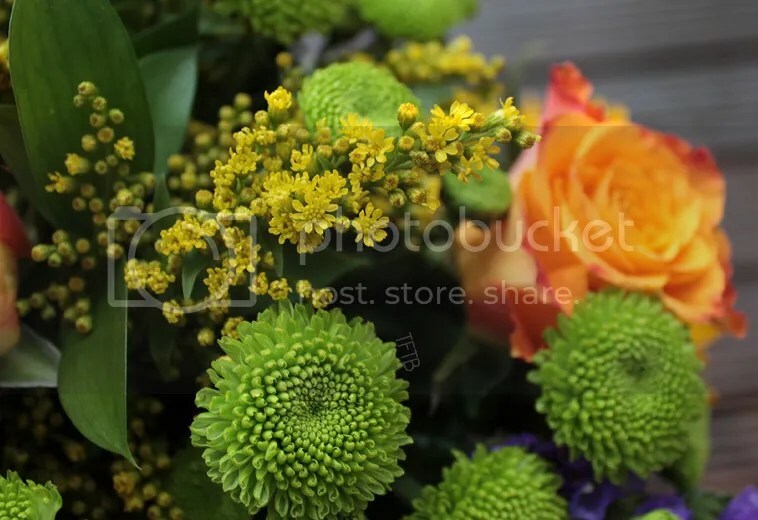 Flowers like these would make an amazing gift for birthdays, anniversaries or holidays such as Mothers Day. These were delivered to us on a Monday morning, which was great as they arrived on the exact day that we requested! In terms of longevity, towards the end of the week, the roses were starting to turn brown while the other flowers were fine. By Saturday the majority of the flowers had gone a little brown and nasty which was a little disappointing. However, our Mum did point out that this may be because we haven’t had a lot of sun. We did make sure that the flowers were fed and we changed the water every few days as instructed, so they were well looked after! Debenhams Flowers sell a variety of different items online including bouquets, plants and gifts! If you’re looking to treat yourself or somebody else to flowers there are loads of ranges on their online store. These include luxury flowers and even flowers that can be delivered the next day! 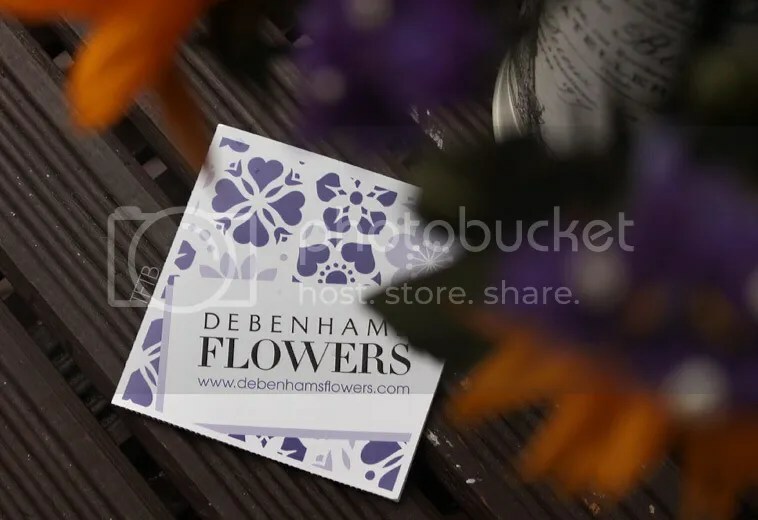 To all of our lovely readers, Debenhams Flowers have kindly given us a discount code for you to use so you can get 25% off your order (excluding the flowers by post range) with the code ‘DFBLOG25‘! Let us know if you end up buying flowers for yourself or somebody else, we’d love to know what you picked! Such a gorgeous bouquet of flowers!